Please click the drop down menus below to learn more about each position. If you're ready to fill out our volunteer application and get started, please click here! More questions? Check out our volunteer FAQs here! To ensure that all dogs are taken on a minimum four walks a day, while socializing and training the dogs using positive reinforcement to increase adoptability. Walking dogs from all areas of SICSA’s dog kennels. Handling the dogs in a safe manner at all times, while adhering to SICSA’s procedures and training methods. Providing fresh water, clean bedding, and treats. Working with dogs on basic obedience training, while consistently adhering to SICSA’s positive reinforcement guidelines. Alerting Animal Care staff members of any medical issues in a timely manner. Alerting Adoption staff members of any issues which may affect the dog’s adoptability. Responsible for tracking volunteer hours with SICSA’s online software, or communicating this information directly to the Volunteer Coordinator. Must be 16 years of age or older to participate in SICSA’s adult volunteer program. All Dog Kennel Volunteers must complete a one hour orientation as well as a two hour Volunteer Dog Training course session that includes positive reinforcement techniques, proper leash behavior, how to control and correct negative walking behaviors, and how to promote positive behavior inside the kennel. Volunteers are also encouraged to attend SICSA’s free Continuing Education courses. One weekly 2-hour shift. We ask that volunteers complete at least four hours of service per month. Dog Kennel Volunteers report directly to the Animal Care Technician on duty, as well as the Volunteer Coordinator. Able to bend, reach, kneel, sit, and stand for prolonged periods as well as lift and carry items weighing up to 50 pounds. Frequently lifts, carries, and positions objects weighing up to 50 pounds when moving supplies and cleaning. Comfortable handling animals with unknown backgrounds as well as consistent exposure to animal allergens under conditions with limited alternatives available. Must be comfortable working with and handling animals of varying temperaments. To ensure that all cat kennel areas are clean and presentable to the public and that cats are well socialized, increasing their chances of adoption. Cleaning SICSA’s cat rooms, as well as condo cages located in various areas throughout the building. Cleaning includes: changing litter in litter boxes, removing and replacing soiled items, disinfecting individual cages, sweeping, and mopping. Ensuring the safety of the cats while cleaning by using the correct cleaning procedure outlined in training and using only approved cleaning products and items. Ensuring the safety of the cats by using agreed upon socialization tips and techniques. Handling the cats in a safe manner at all times. Alerting Adoption staff members of any issues which may affect the cat’s adoptability. All Cat Kennel Volunteers must complete a one hour orientation as well as a one hour Volunteer Cat Training course. Volunteers are also encouraged to attend SICSA’s free Continuing Education courses. Cat Kennel Volunteers report directly to the Animal Care Technician on duty, as well as the Volunteer Coordinator. Frequently lifts, carries, and positions objects when moving supplies and cleaning. Frequent standing, bending, reaching, kneeling, sitting on the floor, and walking required. Comfortable handling animals with unknown backgrounds as well as consistent exposure to animal allergens under conditions with limited alternatives available. Must be comfortable working with and handling animals of varying temperaments. To help SICSA dogs enjoy time outside of the facility and expend energy, which helps make them more comfortable and adoptable at SICSA. Handling SICSA’s adoptable dogs offsite in a variety of environments. Ensuring that the proper dogs are taken on each run/walk by checking with staff members. Knowledgeable about the SICSA dog being taken out for exercise. Responsible for the transport of SICSA dogs to offsite exercise locations.  Knowledgeable and able to communicate about SICSA’s various animal welfare programs, specifically the adoption process. Able to communicate in a friendly manner with anyone the dog interacts with. Responsible for the general welfare of SICSA’s dogs while offsite. Responsible for ensuring the dog’s safety, keeping in mind each individual dog’s special requirements. Should be dependable, responsible, and comfortable walking dogs of varying sizes and temperaments. Must be 18 years of age or older to participate in SICSA’s Paw Partner program. Children may participate in Paw Partner activities alongside a parent or guardian as part of SICSA’s Parent Youth Partner (PYPer) Program. Paw Partners Active volunteers should attend SICSA’s initial orientation and Paw Partner training. One walk/run per month. Supervision Paw Partners report directly to the Volunteer Coordinator. Able to lift, bend, and carry smaller animals or walk with larger animals. To bring the joy and comfort of animal companionship to residents in nursing homes and hospitals with SICSA’s adoptable animals, as well as providing socialization for the animal. Handling SICSA’s adoptable animals at various Paw Partners Social facilities. Choosing appropriate animals from SICSA’s kennels, with the help of staff members. Knowledgeable about the SICSA animal on each socialization visit. May be responsible for the loading and transport of SICSA animals and materials to the facilities. Able to communicate in a friendly manner with both residents and staff at each facility. Responsible for the general welfare of SICSA’s animals while at these visits. Comfortable working with and relating to people, including elderly, ill, troubled, or disabled individuals, and should be ready and willing to form relationships with the people and organizations we serve. Should be dependable and punctual. Paw Partners Social Volunteers should attend SICSA’s initial dog and/or cat training, along with a Paw Partner training course. Volunteers must also complete two shadow visits before going on visits unsupervised. Four hours per month (or 1-2 regular visits a month). Volunteers report directly to the Volunteer Coordinator. Able to lift, bend, and carry smaller animals or walk larger animals. Foster Care providers are volunteers who foster homeless puppies, dogs, cats and kittens in their home for a short period of time until the animals are able to be adopted. Volunteers ensure the proper care of these animals while they are in their home. Ensuring that all animals are given proper nutrition, water, and shelter. May also include medicating animals as needed. Able and willing to attend regular check-ups with SICSA’s veterinary staff. Alerting SICSA staff members (specifically Foster Care Coordinators or veterinary staff) of any medical issues in a timely manner. Alerting SICSA staff members (specifically Foster Care Coordinators or adoption staff) of any behavioral issues which may affect the animal’s adoptability. Able and willing to bring foster animals into SICSA when they’ve been made available for adoption. All adoptable foster animals should be at SICSA on Saturdays and Sundays at least 30 minutes prior to the doors open to the general public. Fosters can choose a certain breed of dog, a certain period of time (e.g. summer), a certain gender or age. We can accommodate fosters and schedules in a variety of ways. Fosters must be able to keep animals in their place of residence. Training and procedure guidelines will be provided by one of the Foster Care Coordinators. All potential Foster Care Providers should first become SICSA Volunteers and attend a general volunteer orientation. Volunteers will then submit a foster application and schedule a customized training about procedures and guidelines for foster care. Once new Foster Care Providers have completed the training, they are able to actively volunteer in the program. When SICSA receives word of animals in need of foster care, volunteers will be contacted and offered a foster opportunity. SICSA appreciates the time fostering can take and is extremely flexible. We are happy to work around your preferences and schedules! Foster Care volunteers report directly to the Foster Care Coordinators. Dependent upon size of the animal. Frequent standing, bending, reaching, kneeling, sitting on the floor, and walking may be required. Click here to get started as a new volunteer! If you're already a volunteer, click here for the Foster application. To ensure that all members of the public are greeted upon arrival, giving them a positive first impression of SICSA and guaranteeing an excellent customer service experience. Familiarity with SICSA’s community programs, such as public spay/neuter, dog licenses, Youth Programs, Paw Partners, and the volunteer program. Disseminating information regarding our adoptions procedure. Directing attention to SICSA’s adoptable animals and kennel areas. Accepting donations, filling out receipts, and distributing donations into proper areas in the kennel. May require working with potential adopters, answering questions about adoptable animals and completing adoption paperwork. Must enjoy interacting with people and be able to distribute information and explain SICSA policies with a positive demeanor. All front lobby volunteers will be trained by SICSA’s Adoptions Manager. Volunteers wishing to greet alongside a dog must complete SICSA’s initial dog training. One weekly 2-hour shift preferred. We ask that volunteers complete at least four hours of service per month. Front lobby volunteers will report directly to adoption staff, as well as the Volunteer Coordinator. May frequently lift, carry, and position objects when moving supplies and cleaning. Frequent standing, bending, reaching, kneeling, sitting on the floor, and walking may be required. To work with our office staff (specifically the Community Engagement team) to assist with the planning and organization of special events, fundraising initiatives, or various other office projects. May include serving on committees for our special events, such as the Lift Your Leg and Walk for Strays, The Cat’s Meow Silent and Live Auction, Red Dog Racers, etc. Various office work projects, such as assisting with fundraising mailers, data entry and clean up, etc. General office and computer experience is required. Fundraising and Event Planning experience is preferred. Should be able to communicate clearly. Must be able to attend previously agreed upon meetings as needed. Must be 16 years of age or older to participate in SICSA’s adult volunteer program..
All volunteers will be trained on a project-by-project basis. Varies based on projects and fundraising events. Committee members typically meet once a month and more frequently prior to the event. Office volunteers will report to a member of the Community Engagement team or the Volunteer Coordinator. Work may be performed in office, kennel, and outdoor settings. Frequent standing, bending, reaching, kneeling, sitting on the floor, walking, and sitting at a computer station required. To represent SICSA by taking adoptable animals into the community to attract potential adopters, as well as educate members of the general public about SICSA’s animal welfare programs. Handling SICSA’s adoptable animals at various offsite adoption events. Greeting members of the general public in a friendly manner. Knowledgeable about SICSA’s programs and able to educating the general public about the following: Public Spay/Neuter, Humane Education programs, the Paw Partner and Volunteer programs, and Adoptions. Working with the Adoption Counselor onsite to promote the adoptability of animals both at the event and at SICSA. May be responsible for the loading and transport of adoptable animals and/or offsite event materials. Responsible for tracking volunteer hours with SICSA’s online software, or communicating this information directly to the Volunteer Coordinator. Should enjoy working with members of the public and be comfortable handling SICSA’s animals offsite, in various environments (i.e. parades, pet stores, outdoor festivals). Offsite Event volunteers should complete SICSA’s initial dog and/or cat training, as well as an Offsite Event training course. One event every 1-2 months. We ask that volunteers complete at least four hours of service per month. Offsite Event volunteers report directly to the staff member leading each event, and also to the Volunteer Coordinator. Frequently lifts, carries, and positions objects weighing up to 50 pounds when moving supplies, coordinating events/activities, and cleaning. To make and sell crafts at local bazaars and festivals and other fundraising activities, with proceeds to benefit SICSA Pet Adoption Center. Assisting with the creation of various pet-related crafts. Selling crafts at events, ensuring that all sales supplies (including cash, credit card receipts, and checks) are well-organized. Promoting FOS-attended and led events, such as area festivals, FOS Holiday Bazaar, FOS Jewelry Sale, etc. Must be able to attend regular meetings. Knowledge and enjoyment of crafting (such as sewing, knitting, embroidering, etc.) a plus. New FOS members will be provided training by current FOS members. Meetings held third Wednesday of the month, along with at regularly scheduled events taking place throughout the month. FOS members report to the FOS manager, Pam Larrick. May include frequent standing, bending, reaching, kneeling, sitting on the floor, walking, and sitting at cashier table. To assist with our Youth Programs, including birthday parties, mini-camps, tours, and SICSA Saturday programming. Setting up and tearing down for programs under the direction of the Youth Programs Coordinator. Assisting with the facilitation of humane education-related programs and events. Responsible (along with Youth Programs Coordinator and SICSA staff) for the safety of the children attending humane education programs. Prospective volunteers may be subject to fingerprinting and a background check in keeping with the State of Ohio Guidelines for Volunteers Working with Children. Experience working with children preferred. Volunteers should complete SICSA’s initial dog and/or cat handling course. Varies by program and availability. Programs are generally 1-4 hours in length. We ask that volunteers complete at least four hours of service per month. Youth Programs volunteers report directly to the Youth Programs Coordinator, as well as the Volunteer Coordinator. Frequently lifts, carries, and positions objects when moving supplies. Frequent standing, bending, reaching, kneeling, sitting on the floor, and walking required.